Common Sense Guide on How to Choose the Best Vacuum Cleaner for your Home! Hopefully, the information in this post will give you some bullet points or tips to keep in mind during the selection process. You will find a large and diverse assortment of vacuum cleaner models on this site I have carefully reviewed that hopefully will provide you a very good starting place. Utilize Customer Reviews and Professional Reviews…Cautiously! Needless to say our budget plays a big role in selecting the best vacuum. Price is not the best indicator of how well a vacuum cleaner will perform. There are some excellent moderately priced vacuums that will perform as well and last as long as some of the very high priced vacuums – when properly maintained. I don’t recommend that anyone over-stretch their budget. A vacuum cleaner is an important a purchase. A vacuum cleaner is a machine that is intended to make your life more tidy and easier. You want to a machine you are going to be happy with and look forward to using, rather than cause you to procrastinate. I do recommend that you choose the best vacuum your budget will allow. Some of the top-rated high-end vacuum vacuums are known to last for decades instead of just a couple years. The age-old question, which one is best, a Bagged Vacuum or a Bagless Vacuum? The main issue boils down to Air Contamination when disposing of the dirt. A Bagless Vacuum requires that you hold the removable Dirt Cup or Canister above a trash can and open the lid, allowing the dirt to empty. 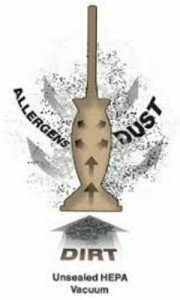 This invariably will produce a dust cloud potentially loaded with allergens that can ruin the day of an allergy sufferer. 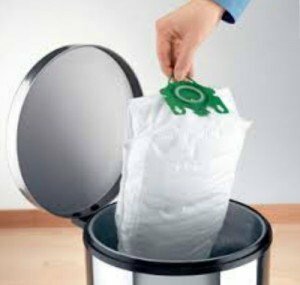 A Bagged Vacuum on the other hand requires that you remove the full bag from the vacuum and dispose of it. When the Bag is detached from the vacuum it can produce a small puff of yucky dust. However, some Bagged Vacuums utilize bags with a molded plastic flapper that will seal the bag opening when you remove it, minimizing any puff of dust-filled air. Of course you can take the Bagless Dirt Cup outdoors to dump which may not be practical. Or you could take a Bagged Vacuum outdoors to remove the bag. It all depends on how you want to handle your dirt! A Bagged Vacuum is probably more convenient. Although you do have to change out the bags. The bags can get expensive if you are a pet owner simply because of the volume of dirt and hair. The main benefit of a Bagless Vacuum is they are very inexpensive to operate because you don’t have to buy bags. If you live in an apartment or small house storage may be an issue for you. You may want to consider a canister model or an upright with a folding handle. 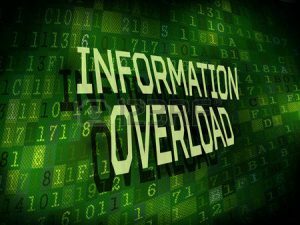 Another option when it comes to storability is a Stick Vacuum. 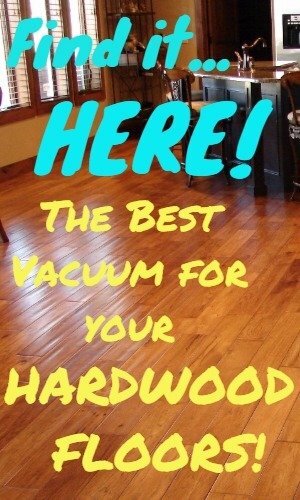 There are a lot of really good stick vacuums that can take care of many of your cleaning needs. I recommend that you decide where you want to store your new vacuum and then choose a vacuum that will fit. You may have to forgo an upright vacuum in favor of a canister vacuum or a stick. You may live in a multi-level home where weight is an issue. Especially if you are physically challenged. Some of the best upright vacuums can weigh as much as 23 pounds. This could present a real challenge lugging it up and down stairs, especially if you are an elderly person. I recommend Canister Vacuums which are generally much lighter and some can perform just as well as a top rated upright. If your home has a lot of smooth floor surfaces or hardwood floors you need a vacuum that is specially designed and equipped to work well on these surfaces without damaging them. 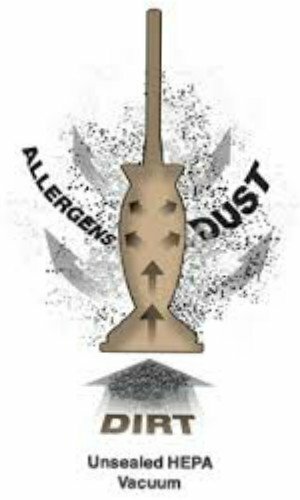 If you or someone in your household suffers with respiratory issues like Asthma or Allergies you need to make sure the vacuum you choose has filtration system that will remove the most allergens possible. Pollen finds its way into our homes thru open doors and windows and get tracked in on our shoes. When we made the decision to have pets in our home other issues besides vacuuming up the pet hair are part of the arrangement. Pets such as dogs and cats and even birds bring allergy-causing particulates such as pet dander which attracts dust mites. Our carpet acts like a giant filter that traps the majority of allergens in the air which is Good! Not to mention all the other allergy-causing offenders such as pollen. When we run the vacuum it is designed to agitate the carpet pile in order to loosen the dirt and pet hair to be sucked up by the vacuum. The Best Pet Hair Vacuums effectively remove the allergens from the carpet. 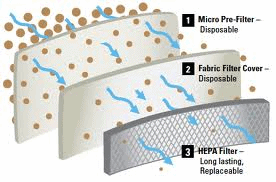 The problem is, is that unless your vacuum cleaner is equipped with a large HEPA Filter that is part of a Sealed Vacuum System, a large amount of those nasty allergens will get blown back into the air we breathe. Yuck! That is why it is important if you are an allergy suffer to make sure the Pet Hair Vacuum you are shopping for is equipped with a Sealed Vacuum System and a Large HEPA Filter that will trap up to 99.5% of allergens. Some top rated vacuums have 2 or 3 filters that must be replaced regularly for maximum performance. This can get a little expensive. 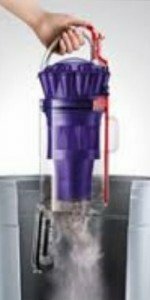 While there are also some that have washable or cleanable filters that will save you money over the life of the vacuum. TIP: Always Check the Owner’s Guide for recommended maintenance. Look for special features that make your new vacuum easier to perform regular maintenance like easy-access to brush roll belts or ports to remove clogs that will happen occasionally, especially if you have a long-haired pet…or person in the house. If you plan on using your new vacuum for stairs, furniture, blinds or drapes be sure your new vacuum is equipped with the features and attachments to do a good job. Canister vacuums are quite handy for above-floor cleaning tasks. Most uprights have detachable stretch hoses that when connected with a wand and attachment work well also. I try and point this out in each of my vacuum cleaner reviews and listings you will find on the website. Unfortunately you will run across an occasional One Star pet hair vacuum review complaining about something as ridiculous as the product sucking up socks and getting tangled in the brush roll and breaking the belt…multiple times. Well Daaahh! Or often times you will read a customer review with a low rating because their new vacuum cleaner they were excited about was late in arriving or it was damaged in shipping. That’s a shipping issue, not a vacuum cleaner issue…come on! My point is, when you read “Customer Reviews” don’t just look at the overall average Rating, read and evaluate all the reviews like I do. Visit the manufacture’s Product Page and check their list of features and specifications. Quite often you will find variations compared to seller or dealer listings that could affect your decision. Professional Reviews – Did you ever read what you believed was a professional vacuum cleaner Review that seemed to be more of an advertisement for the vacuum rather than a critical unbiased evaluation of the vacuum? I know I have! I admit that sometimes, as I review a vacuum cleaner, I can lose objectivity in favor of personal preferences. I try to be as objective as possible which is why I always provide both PROS and CONS, an overall RATING, THOUGHTS and RECOMMENDATIONS so you can decide for yourself if its the right vacuum for you. I understand that we all like to look good while vacuuming our floors. Ya just never know when a neighbor might pop in…right! Everyone wants to look while their sucking dirt out of their house! Believe me, I am a sucker for a fancy high-tech looking vacuum with the latest trending color scheme too, although my experience and investigative nature override my sometimes poor taste. But no matter how cool you think you look while vacuuming your floors and how fascinated you were with the latest glitz, gadgetry, color scheme, and advertising hype all of that is forgotten quickly if your new machine doesn’t measure up to your expectations. I’m trying to find a pet vacuum with a very large canister. In reading all of your info, as well as on other sites, there is never a comparison of the canister size. I have 3 large, very hairy dogs, so the larger the canister the better, so I won’t have to constantly be emptying it or changing the bag. Perhaps you could provide this information in the future., as it would be quite helpful for many of us.